The National Association of Conservation Districts (NACD) honored conservation leaders from across the country during the organization’s 72nd Annual Meeting in Nashville, Tennessee at the Gaylord Opryland Resort and Convention Center. The NACD along with the USDA, Natural Resources Conservation Service (NRCS) “Olin Sims Conservation Leadership Award” is presented annually to an individual, district or organization that has gone above and beyond in promoting conservation on private lands. This year’s award was presented by Natural Resources Conservation Service (NRCS) Acting Chief Leonard Jordan to Kris Swartz, a Wood Soil and Water Conservation District (SWCD) Supervisor. Swartz is a fifth-generation farmer from Perrysburg, Ohio. He and his wife, Sue, operate a 2,000-acre farm in Wood County where they grow soybeans, corn and wheat. Swartz is the past president of the Ohio Federation of Soil and Water Conservation Districts (OFSWCD). Under his leadership, Ohio became one of the leading states in adding Soil Health Champions to NACD’s Soil Health Champion Network. 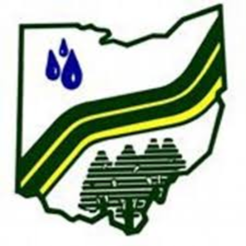 Additionally, his efforts have brought more attention, funding, training, and education centered on water quality, 4Rs, and nutrient stewardship activities carried out by Ohio’s SWCDs.